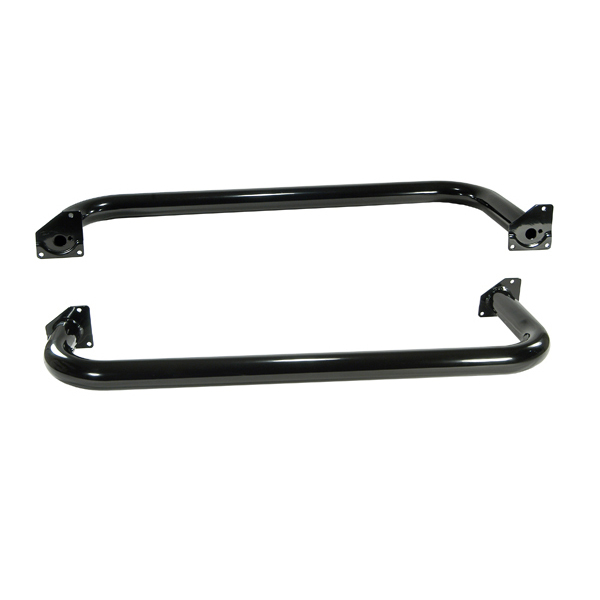 TUBE STEPS, OUTLAND, 3-INCH ROUND BLACK PAINTED FOR JEEP 87-95 WRANGLER - Jeep Parts Guy - All the Jeep Parts You Need! Complete the look with a set of Rugged Ridge tough duty side steps. Each side step is designed to be mounted to the frame of your Jeep creating a no-bounce secure fit. Each side step has a durable no-slip step pad that is specially mounted to the no-bounce secure fit. Each side step has a durable no-slip step pad that is specially mounted to the tube with rust-proof fasteners for long life and durability.